The mission of the Rohr Jewish Learning Institute - JLI - is to make Jewish learning accessible and personally meaningful to every Jew, regardless of background or affiliation. With 156,000 people having taken part in a JLI course in more than 1,100 communities across the world, JLI is undoubtedly the world's largest Jewish education network. Courses are taught in English, Hebrew, Russian, Spanish, French & Braille. This week saw the UK Training Conference take place in London where 25 educators came together to discover the latest range of innovative resources as the project is further expanded across the country. Sessions were led by Rabbi Efraim Mintz, Executive Director of JLI who flew in from the US and Philip Collett, Motivational Trainer, Founder and MD of Goals Plus CIC. JLI's insightful curricula utilises cutting-edge teaching and learning techniques, embracing the multiple intelligence model and utilising multimedia and an array of approaches to engage, educate, and inspire all kinds of minds in a dynamic Jewish learning experience. 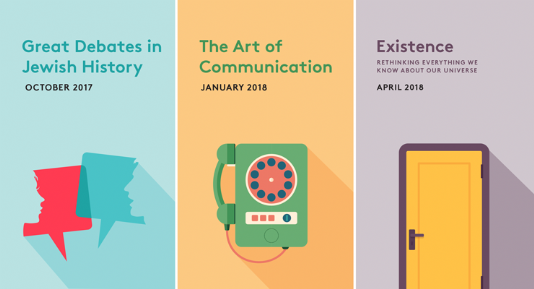 Three times a year, the JLI Flagship Program offers 6-session accredited courses on an array of topics including Jewish ethics, mysticism and philosophy, Jewish history and culture, and Jewish belief and practice. In the United States, JLI courses are accredited for continuing legal, medical and psychological education and offer CEU credits. The courses are also currently under the process of being evaluated for CPD points in the UK. Please click here to register your interest and a tutor will be in touch.